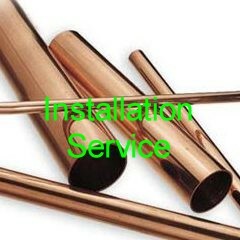 Plumbing and Gas Installations. Gas cooking appliances from cooktops, oven and stoves, Dishwashers and water filters, fridge water connections, washing machines and dryers and of course hot water heaters. We are able to install it. Professional Plumbing and Gasfitting Installations. Whether it be a Gas Cooking appliance or a Toilet Suite we are able to care for your needs. Below are just a few pre-quoted plumbing installations you may require. Contact us for anything else.